A device for removing excess tin. Model ZD-190 has a metal case with a diameter of 20 mm and interchangeable tips. Length of the device is 190 mm. A device for removing excess tin residues when soldering. 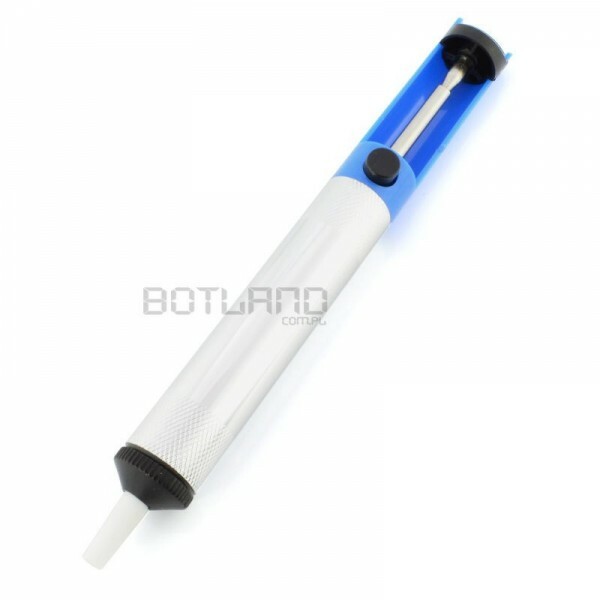 Model ZD-190 has a metal case with a diameter of 20 mm and interchangeable tips. Length of the device is 190 mm. 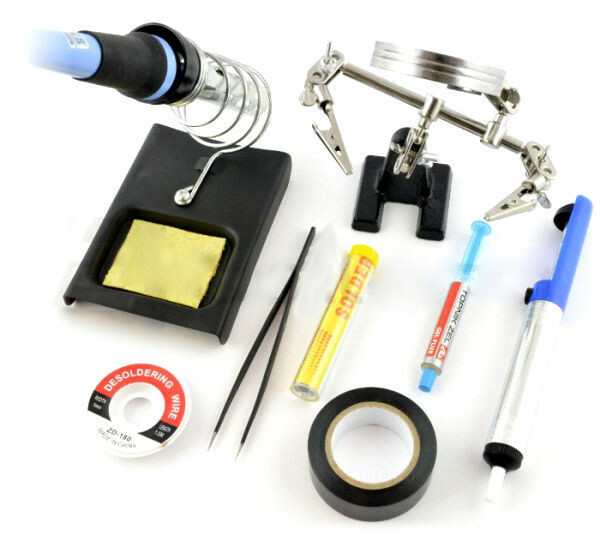 Also check out our tool kits for repair! The subject of the sale is the suctioner, the rest of the accessories can be purchased separately. Flux with the addition of activators to facilitate soldering. Tin solder tin with a flux with a diameter of 0.70 mm in spool with weight of 100 g.
Tweezers antymagnetyczna of stainless steel. Character: Baku BK15ESD. Flux in liquid type "no clean". Packing volume of 15 ml.